Bacon and blue cheese is a winning combination that has made its way onto our dinner table a time or two. This recipe has a great creamy sauce that will make you wonder why more pizzas don’t wander off the beaten path of marinara. 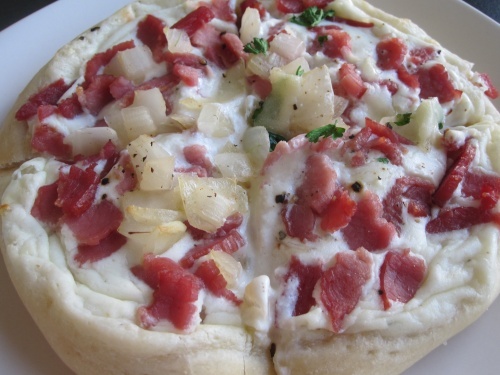 These mini pizzas make a great dinner with a salad or enjoy as an appetizer. Author Kyra KetnickPosted on April 9, 2011 February 1, 2019 Categories appetizers, dinner, pizzaLeave a comment on why so bleu?